What will a monkey do if it cannot jump from tree to tree? It will try to use the roads like humans do and often be mauled to death by passing cars. Golden langurs, one of the most endangered primates of the world, were frequently being killed because of this very reason near the Chakrasila wildlife sanctuary in Assam. But thanks to a ropeway connecting their canopied path, the rare langurs now dangle happily above the road, without any road accidents or fatalities. Golden langurs are one of the rarest primates of the world. They are only found in the Indo-Bhutan region, with its distribution restricted between rivers Manas and Sonkosh on the northern bank of the Brahmaputra in Assam including Chakrasila sanctuary, and in some parts of Bhutan. Till last year, the langurs used to cross a 500 m wide road near the northern boundary of Chakrasila sanctuary to go from one forest area to the other. With no tree in sight, these arboreal monkeys that seldom stay on the ground, would cautiously and slowly cross the concrete road made by humans. But the passage was not always safe. The langurs not only faced the risk of accidents, they were even chased by feral dogs and risked being shot at by poachers, always on the lookout for an easy wild target. “Golden langurs are essentially arboreal and are not agile on ground. What we know is that there were 10 cases of these magnificent animals killed in this stretch since 2005 as per our records. Who knows how many cases went undetected, or how many other individuals lost to other causes due to this fragmentation,” Dr Bhaskar Choudhury of the International Fund for Animal Welfare – Wildlife Trust of India (IFAW-WTI), said. To help this monkey already at risk of becoming extinct, conservationists decided to bridge the road, by making a ropeway high above the ground for its exclusive use. In January this year as part of their Greater Manas Conservation Project, the Bodoland Territorial Council (BTC) authorities and IFAW-WTI initiated a Rapid Action Project (RAP). The naturalists scrutinised the sites that were frequently used by the langurs to cross the road and constructed a bamboo and rope, ropeway in these places joining one bunch of canopy at one end to the other. They were placed at a height of 60 m above the ground. But the initial response from the langurs was not enthusiastic. They had probably begun to fear all things man-made. “Initially, the langurs hesitated to use these bridges. 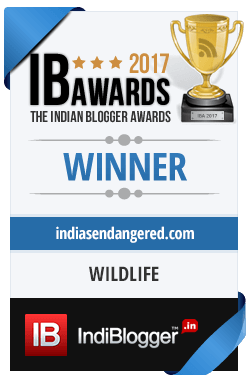 But now they appear to have been habituated and are frequently seen to use them,” Dr Panjit Basumatary, IFAW-WTI veterinarian said to Assam Tribune. Now the langurs use the ropeways easily and fearlessly. It has also come as a huge respite for the conservationists trying to save these wonderful animals. 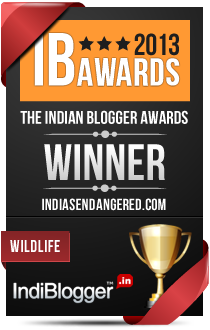 “We consider golden langurs as a pride of Bodoland, and it feels great to have been a part of the team saving them,” Dr Basumatary said. Such kinds of initiatives have earlier been done in other parts of the world too, to give animals a safe passageway. In India, the lion tailed macaques use a similar bamboo bridge constructed above roads to let them move in their Nilgiri forest homes. In a rapidly changing world where our development works are changing the natural world, this is yet another example of a middle path that ensures the future of a rare but important species.